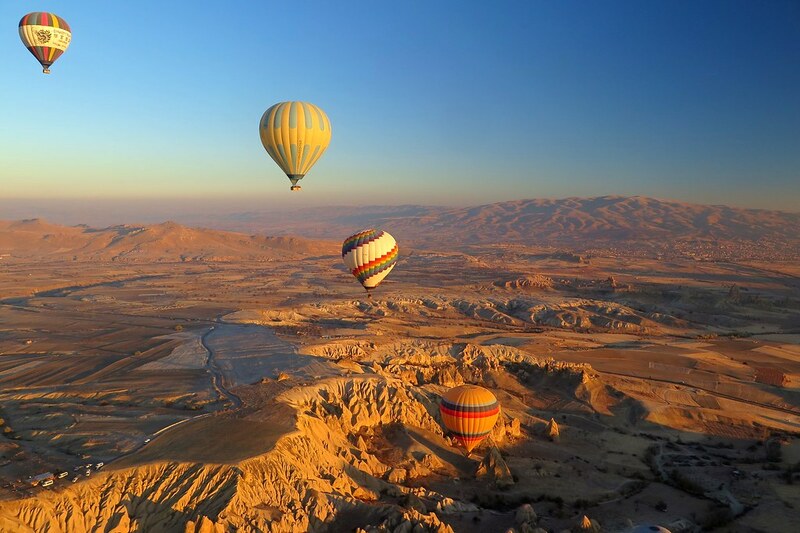 I’ll jump straight in and say that Cappadocia is one of the most spectacular places we have seen on our entire trip, and that’s saying something. 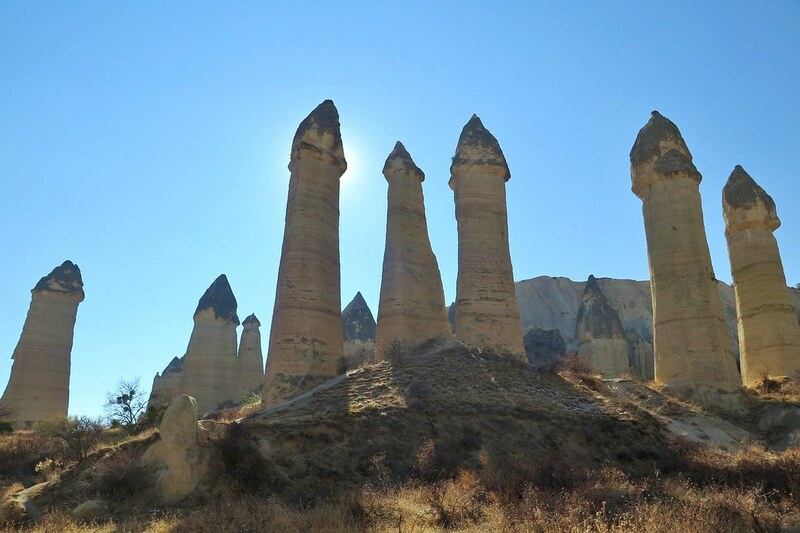 It lies in the centre of Turkey on a high plateau over 1000 m. Volcanoes have sculpted this magical landscape and the rocks near Goreme (where we were staying) eroded into amazing pillars that are called fairy chimneys. 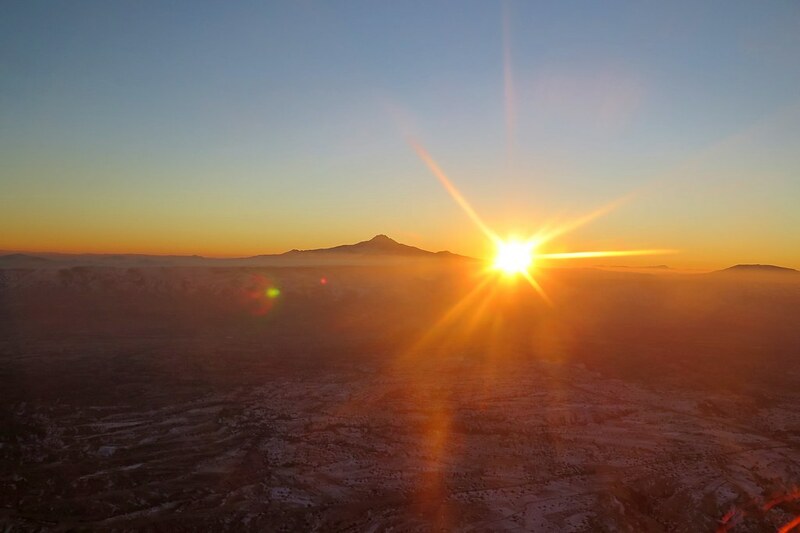 Surrounding this stunning area are tall mountains, the largest being Mount Erciyes (3916 m) which we had seen since Kayseri. 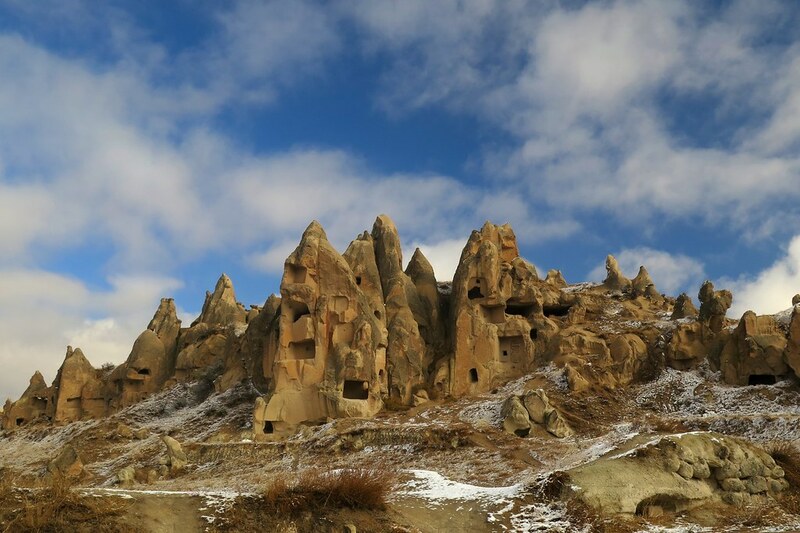 From these rock formations people carved out houses, churches and monasteries from the soft rocks of volcanic deposits. During this time it was of Christian faith. Later when Turkish clans began to settle in the area some of the population converted to Islam and of course today it is a Turkish state and all Islamic. 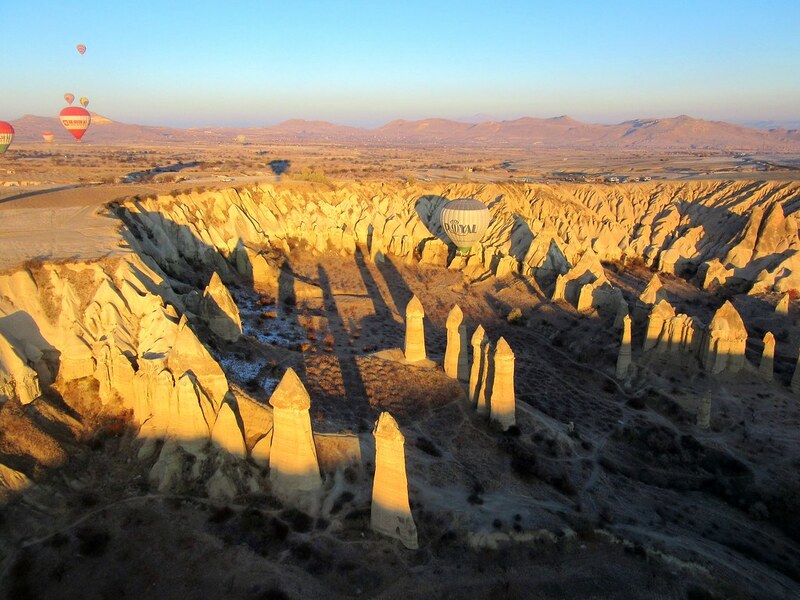 A very interesting place with a lot of history. We ended up arriving a day earlier than planned, thanks to a coffee stop with delicious cakes, and a quick Internet check. 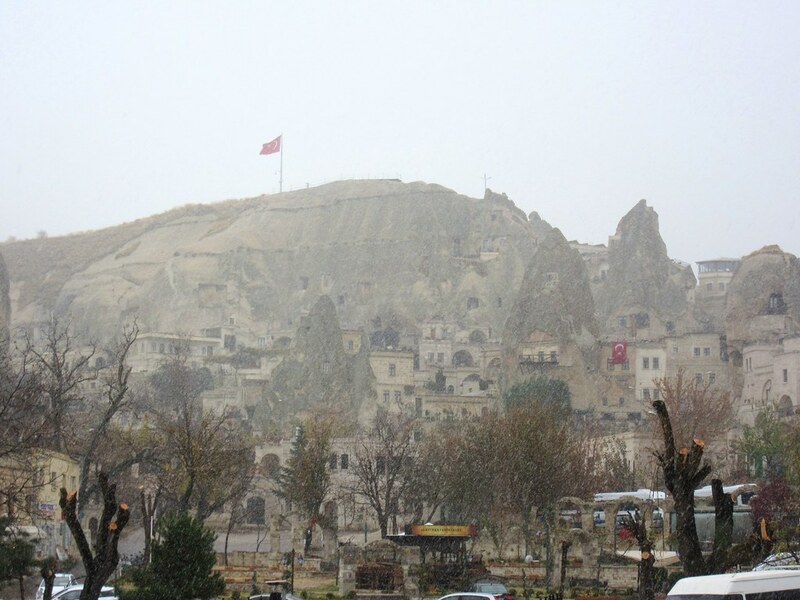 The forecast had changed to snow a day earlier since we’d last checked, so we decided we could make the 109 km to Goreme. We arrived in the afternoon sun very happy to be entering the national park, tired from the longer day, but happy in the knowledge we were avoiding a cold night and snow. We had decided to stay 3 nights which quickly changed to 4 once we realised how much there was to see. We were staying in a guesthouse called Jasmine House. When we arrived we were quickly shown to our room and told to relax, have a shower and check in later. Deniz, the owner, later offered us coffee and went through all there was to do in the area. He then very kindly offered to make us some dinner! Win, I was tired and couldn’t really be bothered to head out. Perfect ending to a good day. The next day we had a delicious breakfast, they have been good in Turkey, and then it was just a day waiting out the bad weather. We felt smug sitting inside in the warmth as the snow started to fall mid-morning, after rain. Perfect timing and a guilt free day of sitting around doing not a lot. 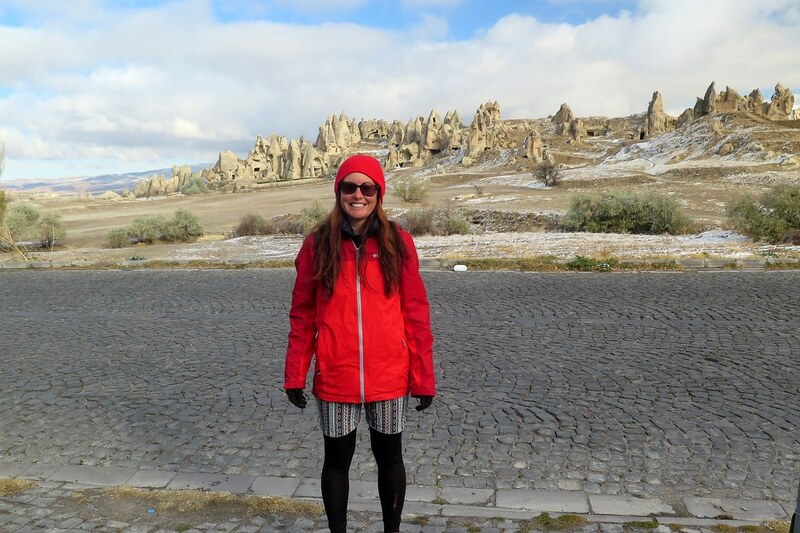 We did venture out for some food, the fairy chimneys looked cool with a sprinkling of snow on top. Finally the next day, after another hearty breakfast and, to my delight, pancakes, we got to do some walking. There are many different valleys and routes to walk along, for the first day we’d chosen to do the Red valley and Rose valley. The snow was still around and the sun was out, a good combination. 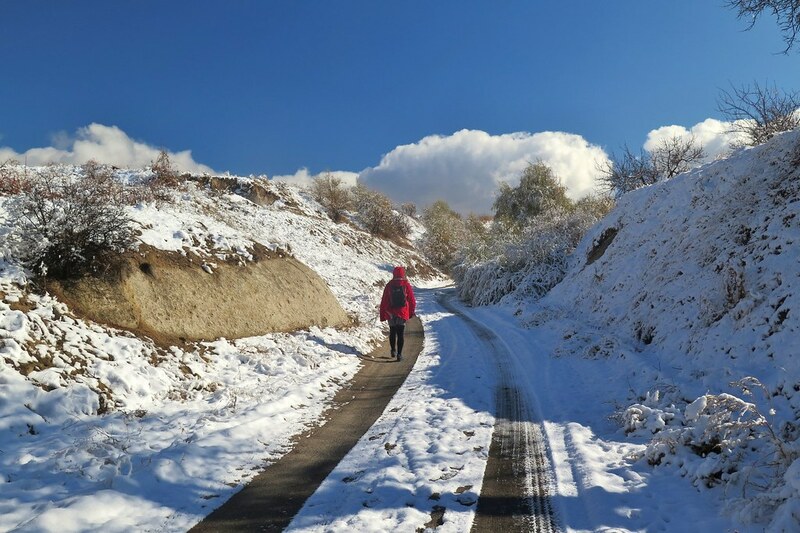 We walked up to where there is an Open Air museum, which we had heard was not worth paying the entrance fee, so we skipped that and continued on to where we thought the Red valley started. From the top there was a great view down into all the valleys. I think we took a bit of a longer route round but that was fine. 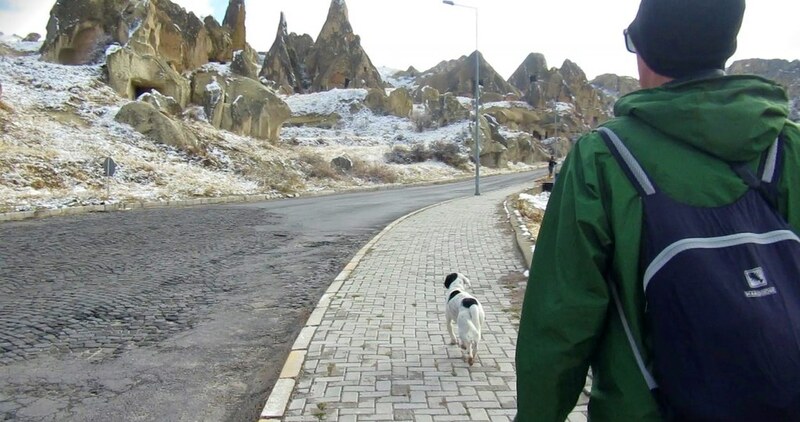 We had also picked up a companion, a cute dog had joined us in town and was walking with us. Running ahead, waiting, then coming back to make sure we were coming too. Think Andy got rather attached during our 3 ½ hours together! Anyway, we managed to find a pathway to the valley floor, even through the snow. It was so peaceful. I’m glad we weren’t there in peak season. There was no one around, including the stall vendors. The views were incredible. It really is an amazing place. 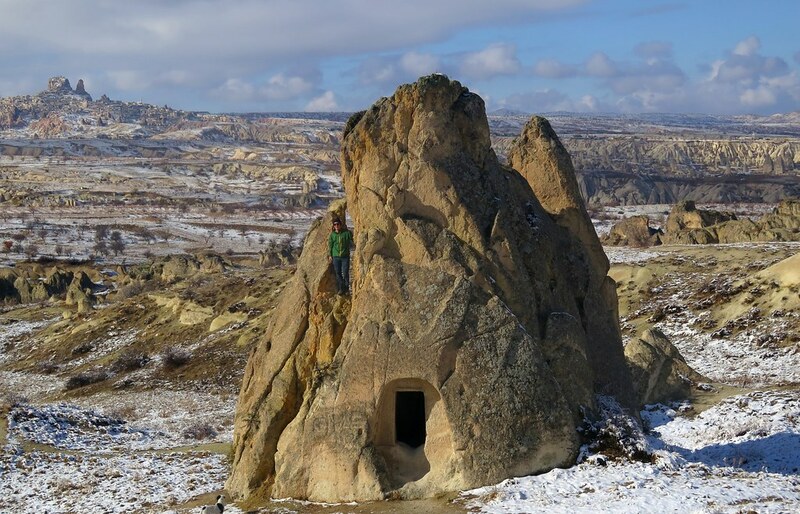 There were many houses carved out of the rock and we saw one church. There were lots of small holes around the houses and we couldn’t work out what they were for, after reading about these it seems they were created for pigeons, so that their poo could be collected and used as manure as the soil in this region is very infertile. 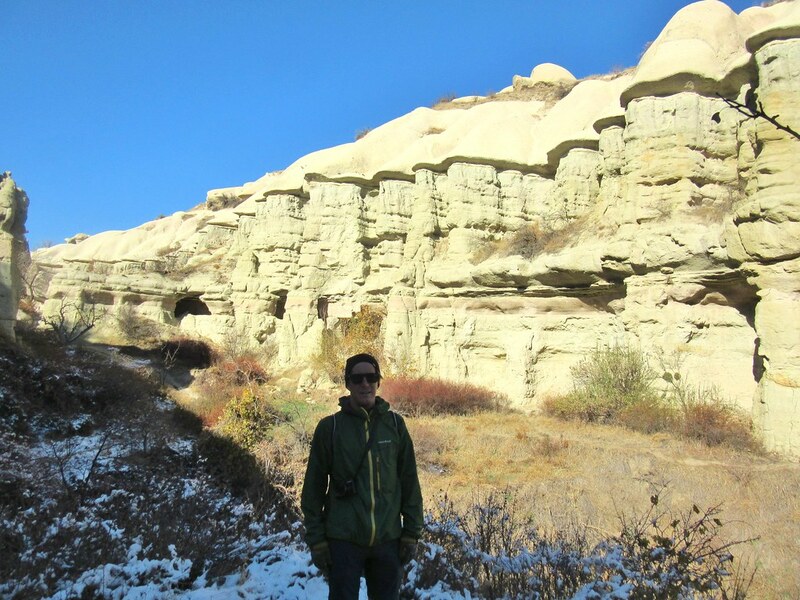 It was a very interesting and beautiful walk along the two valleys. Our new friend, the dog, had come with us the whole way enjoying playing in the snow and putting his nose down the many holes in the ground, sniffing out what was down the burrows. Once back in Goreme we went for lunch, and had to say goodbye to our new friend, Andy was brave and didn’t cry. We’d been told we needed to try a pottery kebab, a dish baked in a clay pot and broken open at the table. 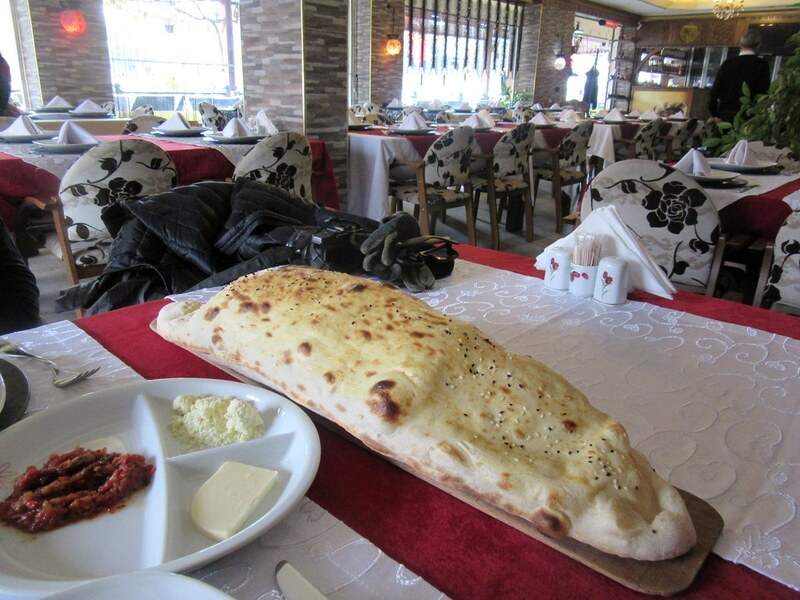 We tried a Testi Kebab with lots of delicious bread, just what we needed after a long walk. I was too slow to get a picture of the clay pot but here’s our bread instead. 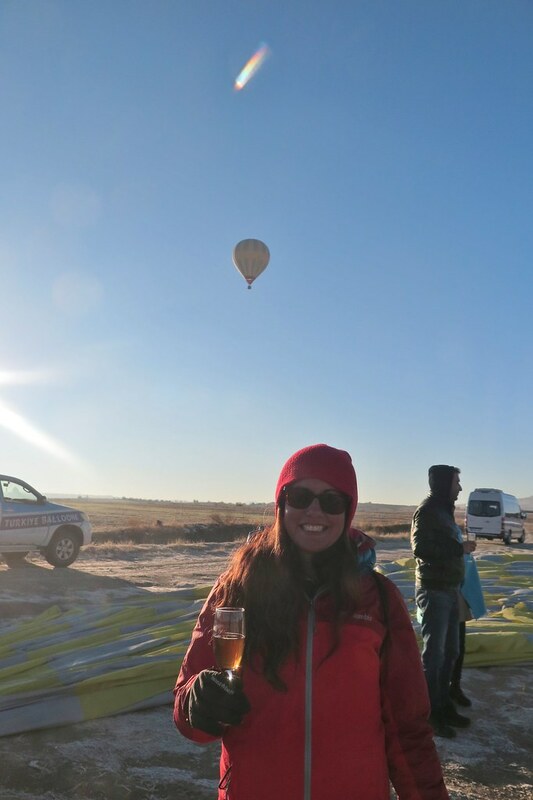 The next day we were planning on taking a hot air balloon ride. It was one of the things we promised ourselves we would do once we were here. 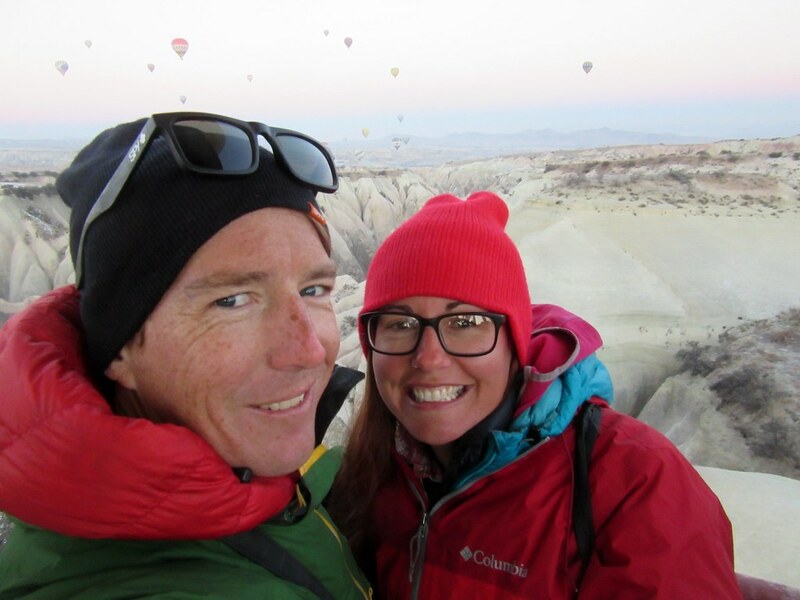 I’m sure many people don’t want to pay the fairly pricey amount, especially if you’re on an extended trip, but we were set on doing it and I don’t regret it one bit. It was a 5:30 am start and our lovely owner from the guesthouse Deniz was up and walked us over to where there was a buffet breakfast. We haven’t been up that early for a long time so lots of coffee. We were driven up past where we had walked the previous day. It was an absolutely perfect clear sky, when we’d woken up all the stars were still shinning bright. The balloon we were in can hold upto 24 people, luckily for us there was only 16 (which was enough). 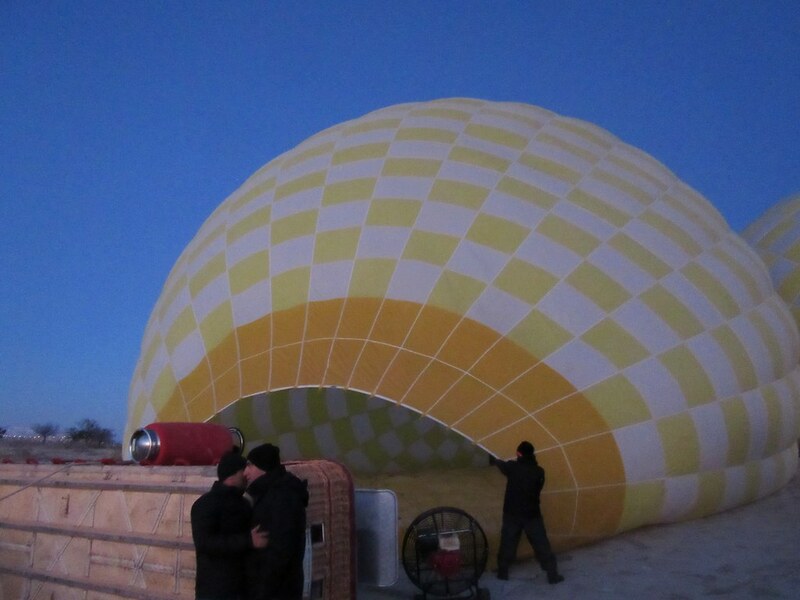 Once inflated we were in and off. It was a surreal experience really from start to finish. 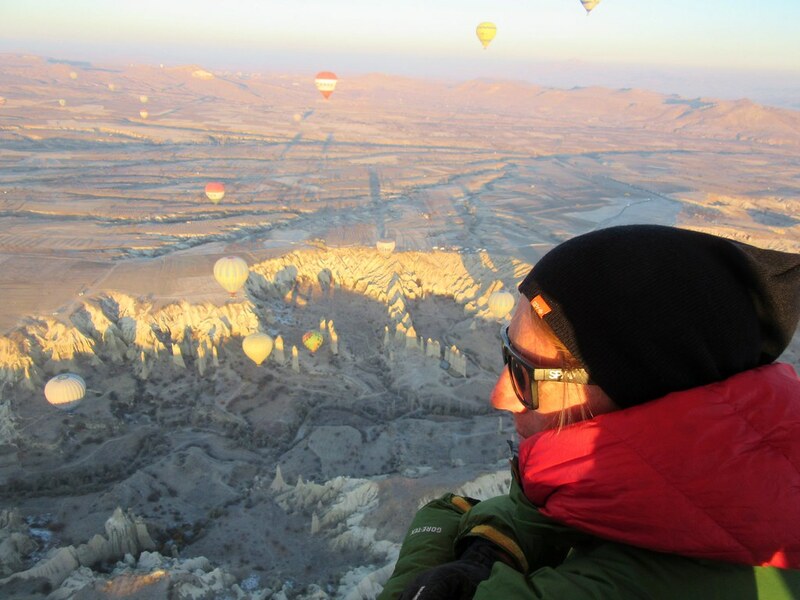 A gorgeous morning and incredible to get this sort of view over all of the valleys. We went over Red and Rose valley first. The wind was low so we moved slowly. We then headed over White/Love valley and dipped down into the valley before landing nearby. The whole ride was around 1 hour and we absolutely loved it. 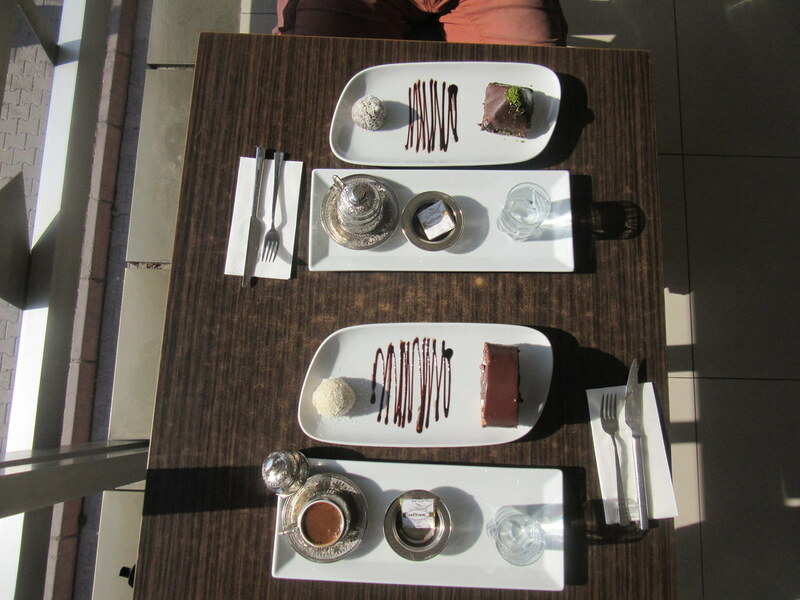 After all the excitement we went back to our guesthouse for 2nd breakfast, we needed the fuel for more walking, honestly. 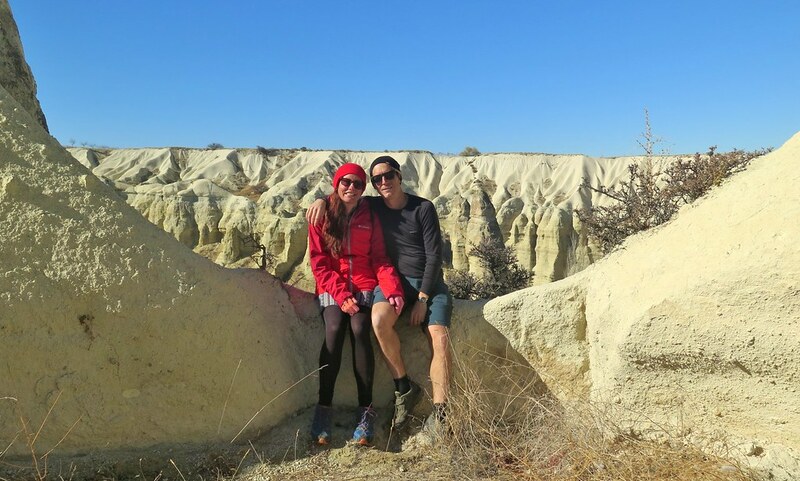 After a bit of a rest we were back out heading towards Uchisar up above Goreme. We walked up Pigeon valley, another stunning area. 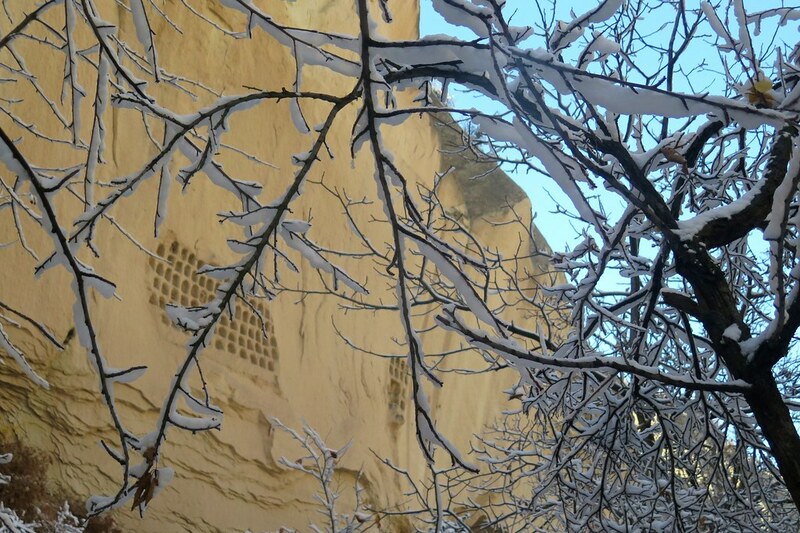 We were then in Uchisar, where new meets old. 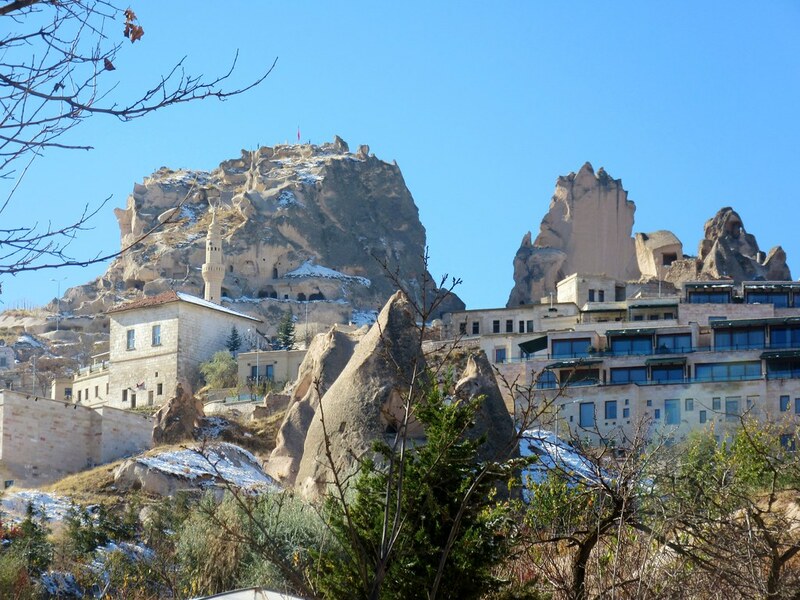 Newer buildings and old houses carved into the rocks along with a large castle. Again, beautiful. Then we were looping back round to White/Love valley to cover the last of the valleys in the area. After a mistake with missing the entrance down to the valley we retraced our steps and made our way down to the bottom. It seemed like it was definitely not peak season as we struggled to get through a few parts with prickly branches across the pathway. There was still a little snow left, but most of it had now melted. The white rocks again the bright blue sky was a great contrast. 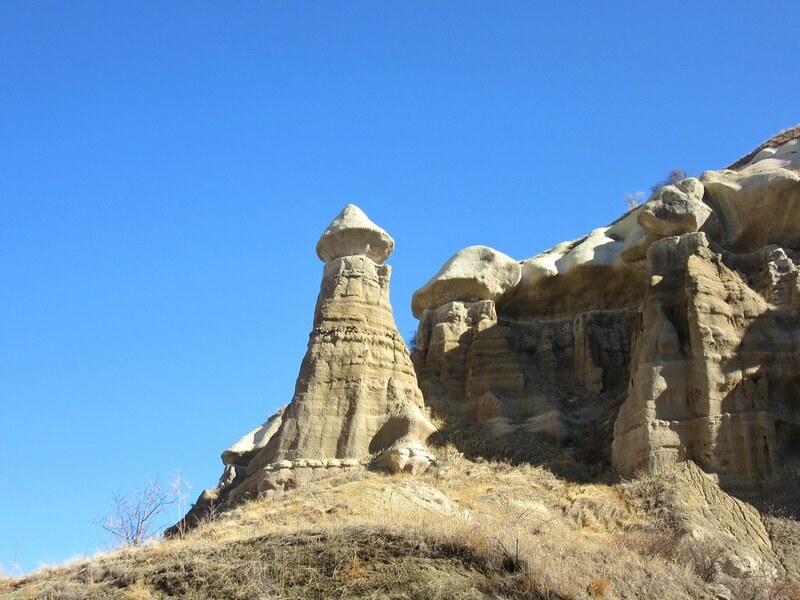 Slowly the large rock faces turned to phallic shaped rocks (sorry to burst the romantic bubble with it being called Love valley). In my innocent, clean mind they looked more like mushrooms, I promise. Either way it was another area of different and interesting rocks that made for a beautiful walk. 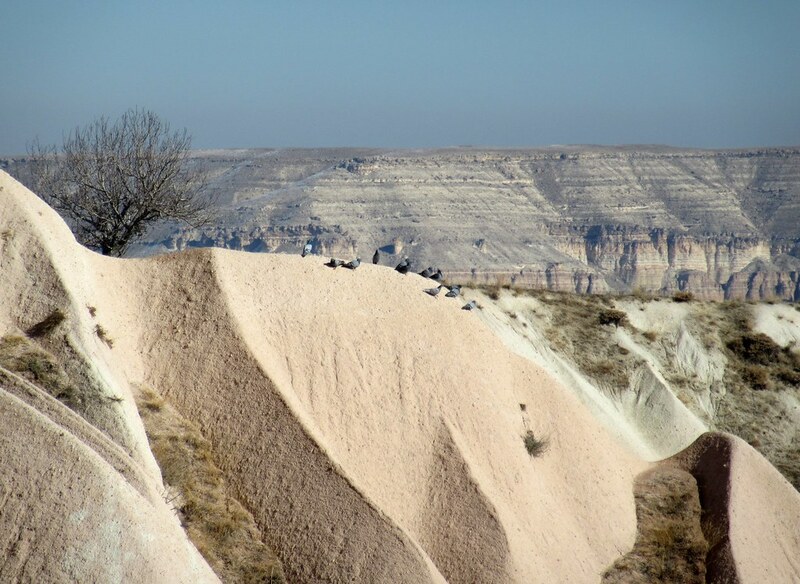 Once out the other side we had a few kilometres to walk back to Goreme. 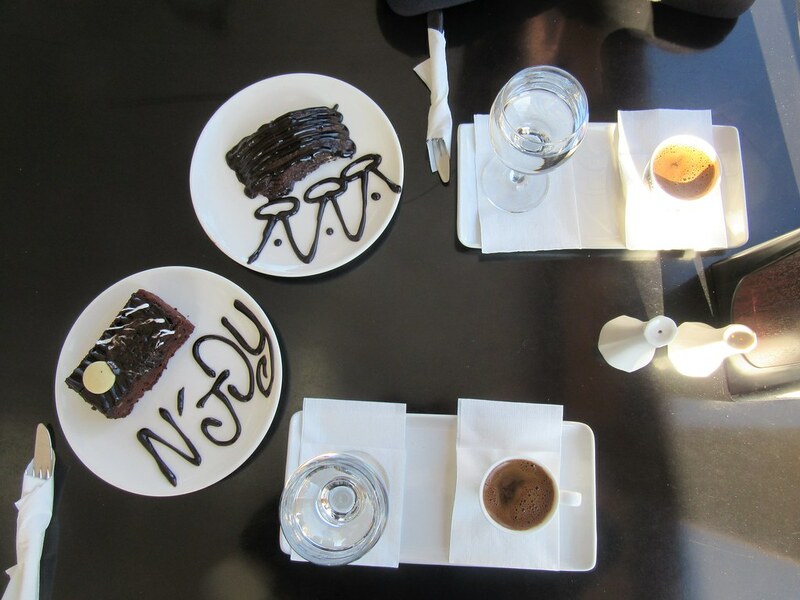 In total we were walking for around 4 ½ hours which meant we were in much need of a treat of Turkish coffees and cake. 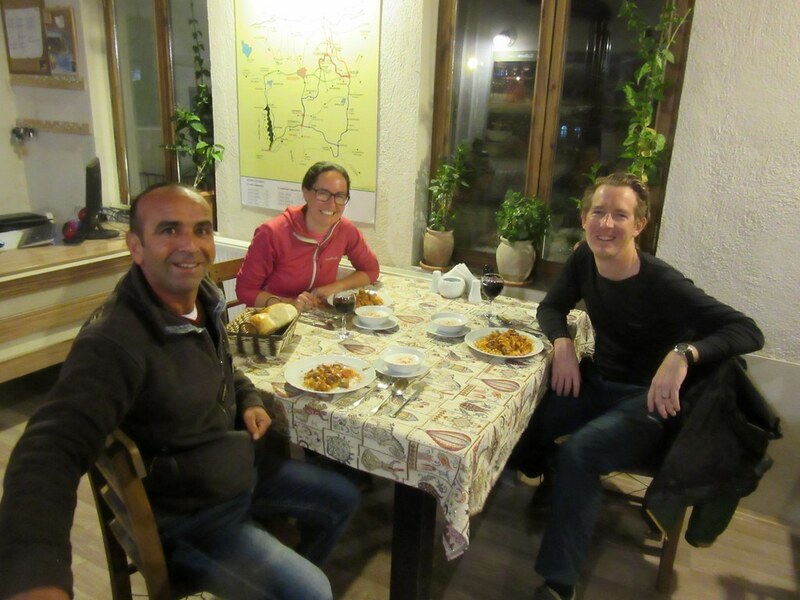 Another amazing day, topped off by another delicious meal from the kind Deniz from our guesthouse. 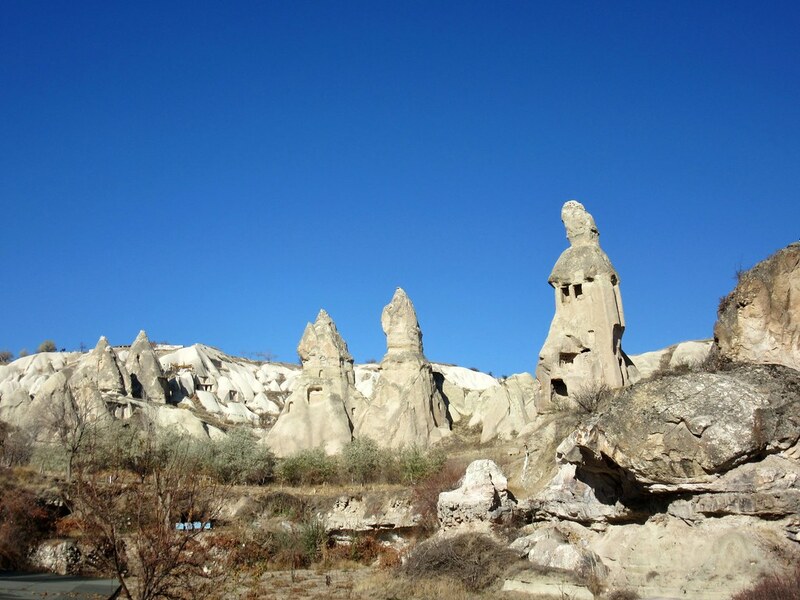 That was the end of our 3 days in Cappadocia, or at least Goreme. 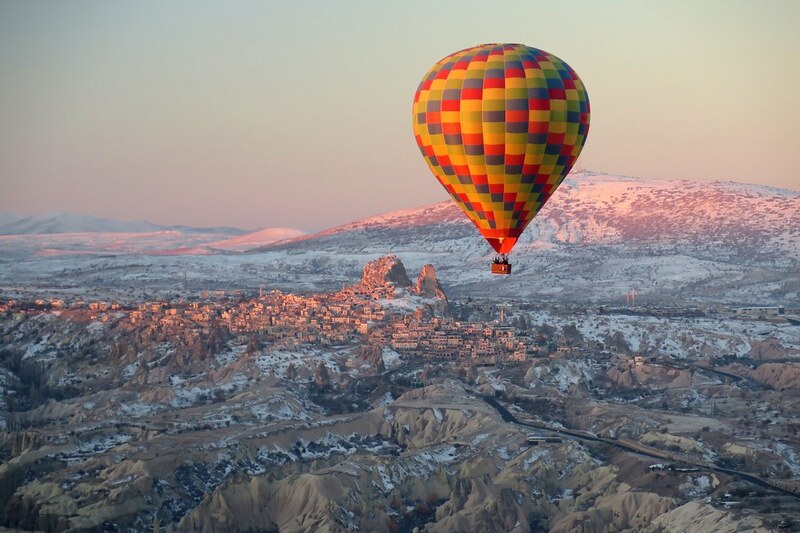 If you ever decide to visit Turkey, which I highly recommend, then Cappadocia should be one of the top places to see. 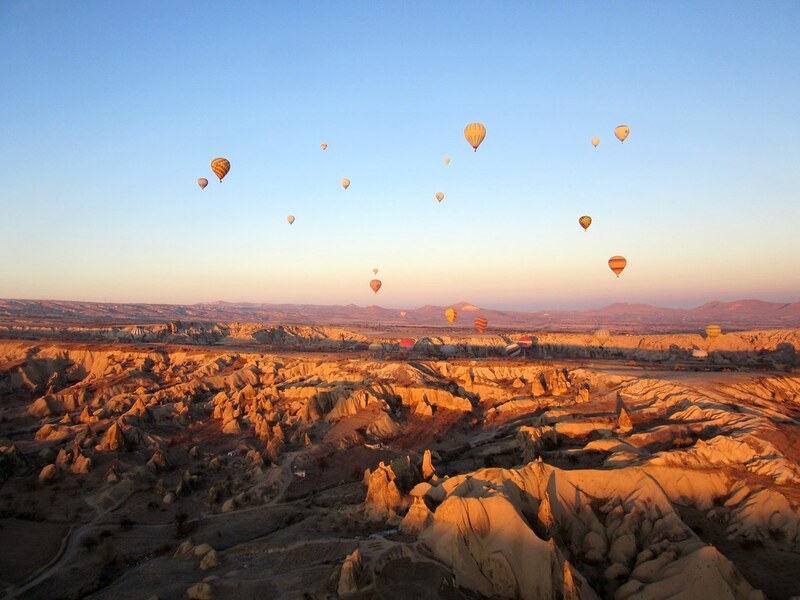 It has been an absolute highlight of our time in Turkey, which has all be incredible anyway, and it has been one of the best things we have done during our whole trip. I can’t think of any more adjectives to help describe or sell it to anyone reading this but we loved it.